This Jackson Hewitt Tax Service In-Store Kiosk brings the service to you, rather than requiring you to find them. By luck or happenstance, Jackson Hewitt blue branding complements the blue of their Walmart Host. 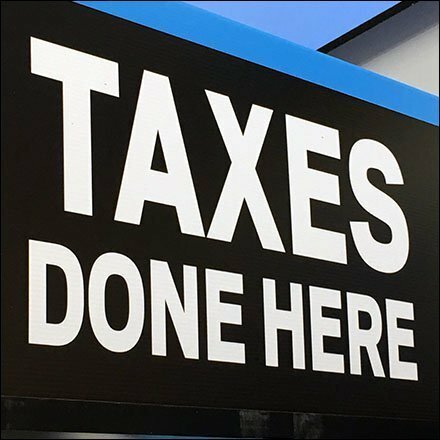 Dramatic signage communicates immediately “Taxes Done Here.” Consider design and placement in the gallery of images.